Exhibitions in the Museum are enhanced by the vivid use of graphic panels, display cases, audio-visual aids and tableaux. Throughout the year we host a number of temporary exhibitions. 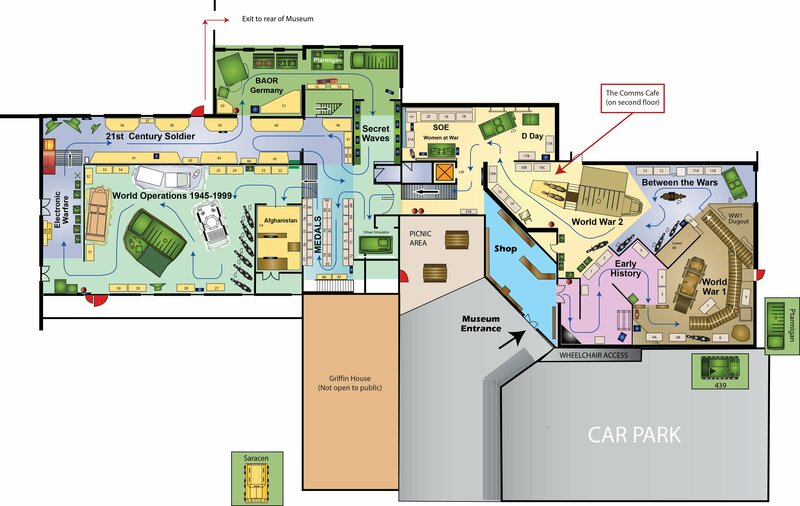 There is good wheelchair access to all exhibitions and museum facilities. What do Winnie-the-Pooh, The Lord of the Rings and Military Intelligence have in common? World War One Signals Officer’s A A Milne and J R R Tolkien – A new display at the Royal Signals Museum, Blandford, Dorset. On 1st August a new display opened at the Royal Signals Museum illustrating the fascinating stories of Signal Officer’s Lieutenant A A Milne, Royal Warwickshire Regiment, and 2nd Lieutenant J R R Tolkien, 11th Lancashire Fusiliers. In the early summer of 1916, after Signals Training Lt A A Milne and 2nd Lt J R R Tolkein, were ordered to France, just before the start of the Somme Offensive. On arrival both were rapidly deployed and quickly experienced the horrors of trench warfare and the unspoken bravery of the British Tommy. They spent their time laying and repairing communications “line” and providing visual signalling for their Regiments and Battalion. 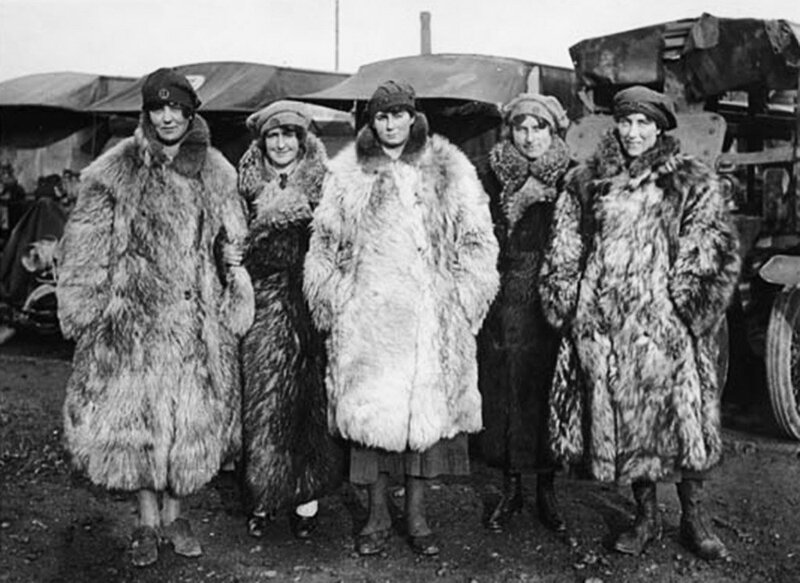 Before the year had ended both contracted trench fever and were sent back to England to recover. Discover their stories and the impact that these events had on their lives, their writing and the characters in their books. See the GREEN BOOK – The only one on display in the World and never seen on display before. After his recovery A A Milne was selected to command one of four companies at the Signalling School in Portsmouth. But before long his literary skills were recognised and he was commissioned by the Military Intelligence Branch MI7b – Propaganda. He remained there throughout the rest of the war writing positive stories of British heroism and adverse stories about the “Hun Corpse Factories”. Milne was one of many famous literary figures who worked for MI7b, which included Irish Poet, Patrick MacGill, Cecil Street, Roger Pocock and F D Grierson. In 1919 after the armistice the authors from MI7b met in London, one final time. They decided to write a short magazine this would be known as The Green Book. Shortly after this all documentation from MI7B was ordered to be destroyed. Almost 100 years later over 150 documents were discovered in a welsh loft by Mr Jeremy Arter, great nephew of Capt James Lloyd, one of the authors of the Green Book. In the documents was an original copy of the book itself, thought to be one of only two left in existence – the other copy held by an American Library. Mr Arter goes on to explain the Green Book itself. In a series of poems, Milne, and the other authors contributed poems in a variety of classic styles. Milne imagines how “some earlier propagandists” might have approached having to “lie” about the “atrocities” of the war. But sit all day and blether. Capt James Lloyd had particular responsibility at MI7b for “Tales of the VC” – articles illustrating the heroism of the British Tommy and our allies, all of whom showed heroism above and beyond the call of duty. We will publish more information on these at a later date. Also in the exhibition, Find out how Edward the Bear, teddy of Christopher Robin, found his new name after a visit to London Zoo. Canadian military vet Lt Harry Colebourn bought a bear cub for $20 on the platform of Ontario Station. He called her “Winnie” after his hometown of Winnipeg – how then did Winnie end up in London Zoo? Did Tolkien’s experience in the trenches, evoke the dark menace of Lord of the Rings and how did an Army Surgeon help to create one of his major characters? After “joining up” 2nd Lt J R R Tolkien was sent for officer training in Staffordshire and specialist signal training in Otley, Yorkshire. He married in March 1916 and in June was ordered to France. “Junior officers were being killed off, a dozen a minute. Parting from my wife then … it was like a death”, he said. He landed in Calais on 6 June 1916, joining the 11th Lancashire Fusiliers at Rubempré, north of Amiens, on 28 June. On 1 July 1916, on the first day of the Battle of the Somme, his friend Rob Gilson led his men over the top at Beaumont Hamel. He and his sergeant-major were killed in the same shell burst. During the battle more than five hundred of the Cambridgeshire’s were killed or wounded. The 11th Lancashire Fusiliers lost 267 men in a fortnight in July, and on 21st July Tolkien was promoted to Battalion Signals Officer, and probably to acting full lieutenant. Later that year he caught trench fever, an illness carried by lice, and was sent back to England. During his convalescence, he began writing down the stories and mythology of Middle-earth, which would form the basis for The Silmarillion. “An author cannot of course remain wholly unaffected by his experience,” Tolkien acknowledged. In the foreword to the second edition of The Lord of the Rings, Tolkien wrote, “By 1918, all but one of my close friends were dead.” The reader cannot help but notice that the Dead Marshes of Mordor is eerily reminiscent of World War I’s Western Front and its utter devastation of life. Tolkien’s characters also show signs of inspiration from his wartime experiences. Samwise Gamgee, thought to be named after a Doctor who treated him when ill, is thought to represent the stoic Tommy. The Women at War exhibition aims to engage and enthuse people of all ages, but particularly children by telling the story of women who joined the services and had an active, military role. The story of Landgirls and women factory workers during the war is well known but little has been done to depict the role of women within the military. With particular concentration on the The FANYs, SOE and ‘Y’ Service Women at War illustrates the essential ‘front line’ role of women during the war and in civil emergencies during peacetime. The FANY was formed in 1907 with the purpose of assisting the Military and Civil authorities in times of Emergency. During the First World War, they had a wide ranging role and by the Armistice had been awarded many decorations, including 27 Croix de Guerre. The SOE and “Y” Service had similarly impressive roles. This exhibition offers insights into the nation’s heritage and the sometimes hidden but formative role of women within our society. Furthermore it illustrates the bravery, sacrifice and achievements of these women who protected our community and our freedom. A converted bus Pigeon Loft used at the Front during the First World War. An expanded display featuring Dogs, Pigeons and other animals which have had important wartime roles in Army signalling. 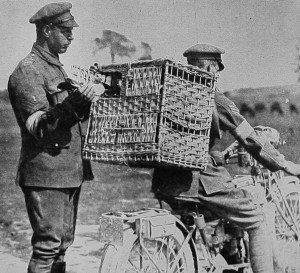 The bravery of pigeon ‘William of Orange’ and how he won the animal’s Victoria Cross at Arnhem. The origin of British military uniforms can be traced back to the New Model Army raised by Cromwell during the Civil War. His soldiers were uniformly dressed in red and this became the standard colour for British Army uniforms until it was replaced by khaki during the Boer War. The Corps has a proud tradition of its various forms of uniform. The Corps Band, 34 Signal regiment Band and the Corps Pipes and Drums are colourful examples of Corps uniform history. The Royal Corps of Signals originally adopted a red jacket for its full dress uniform, but now only the Royal Signal Band continues this tradition. Military uniforms throughout the ages, from the red jacket through to the well known khaki uniform, can be seen on display in the Museum. UN, Middle East, Gurkha and early combat uniforms are among the uniforms on display in the museum. The first titular head of the Royal Corps of Signals was Lieutenant General Sir John Sharman Fowler, KCB, KCMG, DSO. He was GOC British Forces in China from 1922 to 1925 and was appointed the first Colonel Commandant of the Royal Corps of Signals in 1923, serving in that capacity until 1934. Artefacts brought back from China such as silver and brass bowls can be seen on display. Some of his personal belongings such as his medals, his silver cup for best rifle shot, plotting scales and drawing set and army issue watch, have been donated to the Museum. In 1935, to mark the occasion of his Silver Jubilee, King George V appointed HRH The Princess Royal to be Colonel-in-Chief, Royal Corps of Signals. For thirty years Princess Mary took an interest in the Corps until her death in 1965, which was mourned by the whole Corps. The regalia of Princess Mary on display together with other artefacts. In 1977 Princess Anne was appointed to be the new Colonel-in-Chief of the Corps. Since then, the Princess Royal, has remained in the appointment and Her Highness regularly visits units of the Corps throughout the world. In 1794, faced with the threat of an invasion by the French, the British Government supplemented the Army by raising a volunteer force. Members attended eight days annual training and could be used to defend their local area against civil unrest or foreign invasion. The Cavalry part of this force was known as the ‘Gentlemen and Yeomanry Cavalry’ and in 1908 it became the 1st County of London Yeomanry, providing companies for the Imperial Yeomanry during the BOER War. In 1920 it became the 2nd Cavalry Divisional Signals and is now represented by 47th (Middlesex Yeomanry) Signal Squadron whose members still proudly wear the unique badges of rank and cap badge of the Middlesex Yeomanry as members of 39 Signal Regiment (V). 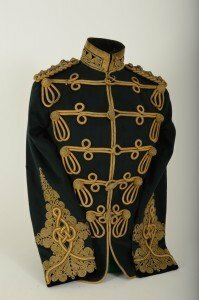 The uniform and badges worn by the Yeomanry as well as various trophies and swords are on display. These have been donated to the Museum by the Middlesex Yeomanry. The jeep was produced in response to a 1940 tender request for an initial 70 vehicles by the US Army Quartermaster corps. The companies tendering were required to produce a prototype four wheel drive quarter ton payload vehicle weighing less than 1300 pounds within an incredible 49 days. The American Bantam Car and Willys Overland Inc were the only two of the 135 invited companies to respond and 47 days after tendering, Bantam delivered their prototype to the army for testing. Willys in the meantime had requested an extension to 120 days due to delivery issues with axle parts and thus, along with observers from Ford, had a golden opportunity to view the early testing of the Bantam. 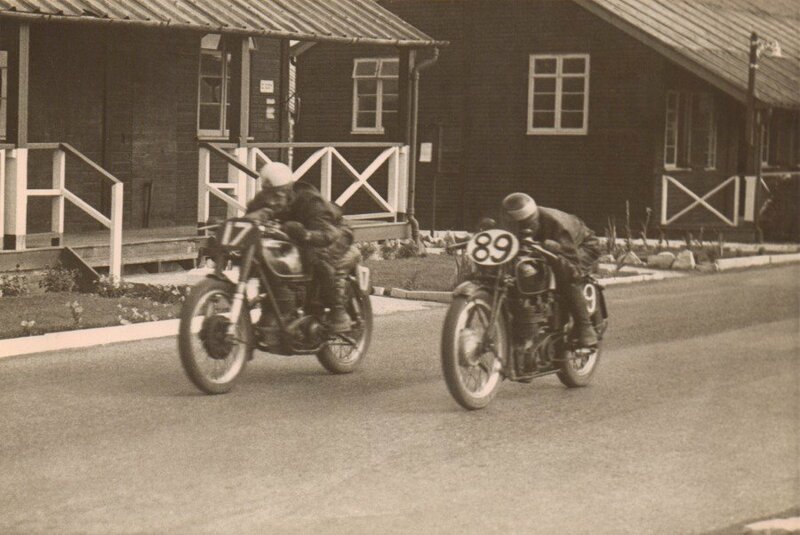 The Bantam tested out reasonably well, but reservations were expressed about its power as well as the ability of the Bantam Co to supply the number of vehicles that would be required by the army following the initial small batches. The test Bantam was followed in late 1940 with the delivery of the first Willys Quad on 13th November and ten days later with the prototype Ford Pygmy. The Willys was some 500lbs heavier than the Bantam but outperformed it thanks to the Quads powerful ‘Go Devil’ 60 horsepower engine. Performance on the Ford model was good as well so the army decided to order 500 of each model for field testing…the rest is history. 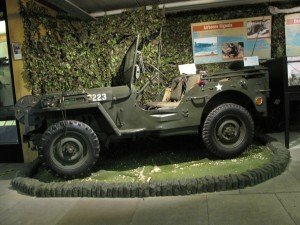 The Willys Jeep was introduced into the British Forces in 1941. By the end of the war over 40,000 had been used by the Army. It was used extensively in the airborne landings in Europe by the Airborne Divisions. It had a top speed of about 105kph. 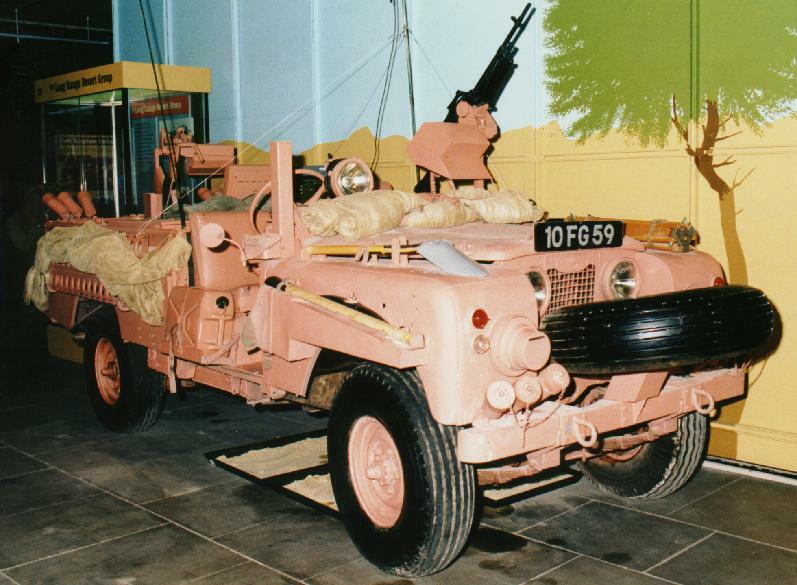 The Landrover is painted in this shade of pink as it provided the best camouflage in the deserts of Aden and the Gulf states. Wireless Set No 123. A lightweight, miniaturised, High Frequency radio. The operational range is up to 500 miles. It is a morse only set and would be used to work back to a base station. Radio set No A41. A man pack VHF set with a working range of 5-10 miles. This set would be used to work to supporting infantry Units. Radio set No A43R. This is a ‘ground to air’ radio working to aircraft. It operates in the UHF band. It can also be used as a beacon so that aircraft can ‘home in’ on its signal. Ranges worked vary from up to 40 miles ground to air on a whip aerial, to 130 miles using the elevated discone, working to an aircraft at 30,000 feet. 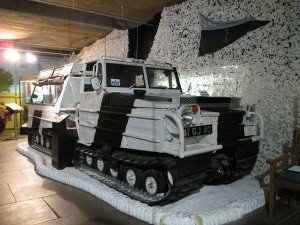 This ‘Tracked over-snow vehicle’, more commonly known as the Snowcat was in service from 1962 to 1981. It was used as a communications vehicle by 249 Signal Squadron and would have a C42 and C11/R210 VHF suite of radios. The vehicle had a Volvo B18 engine and was capable of 40kph for a range of about 400km. The Museum has a fine display of approximately 350 sets of medals. Many of the medals have been presented to the museum by the recipients themselves or by their relatives. The Medal Memoir Books held in the Gallery contain a short history of each individual whose medals have been presented to the Corps and are displayed in the cabinets. Gallantry Awards Board can also be found within this section. The Museum is delighted to have acquired the George Cross of Signalman Kenneth Smith GC. The Corps has a long and successful tradition in athletics with members of the Corps representing Great Britain in the Olympics and Commonwealth Games. Royal Signals canoeists have also been highly successful. Sergeant S N Jackson (later Major) won the world championship in 1983 and three other members of the Corps have represented their country. Within Army competitions units of the Corps have held a wide range of Army trophies for every sport that is played. The Corps has always been particularly strong in rugby, football, hockey, athletics and golf. Corps members have achieved international status in shooting, squash, gliding, skiing, bobsleigh and fencing. Medals awarded to these achievers are held in the Gallery along with various paintings by artists depicting events throughout the history of the Royal Engineer Signals and the Royal Signals. The newest fighting arm of the Army, with a Parachuting capability, providing high-tech rapid response in all theatres of war, is revealed in an exhibition at the Museum. The history and role of 216 (Parachute) Signal Squadron is explained. The interactive Centre was created, supported by the National Lottery through the Millennium Commission. The Royal Signals Museum exists to preserve the history and traditions of our predecessors in the field of military communications. Museum Exhibitions change on a regular basis, this includes updating permanent exhibitions and adding temporary exhibitions of interesting, often topical themes.